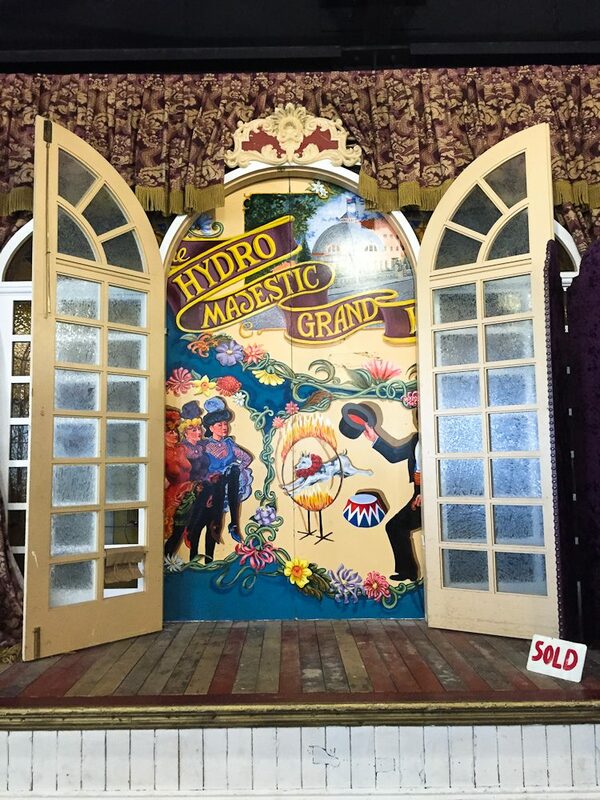 Hydro Majestic's Casino brought back to life. 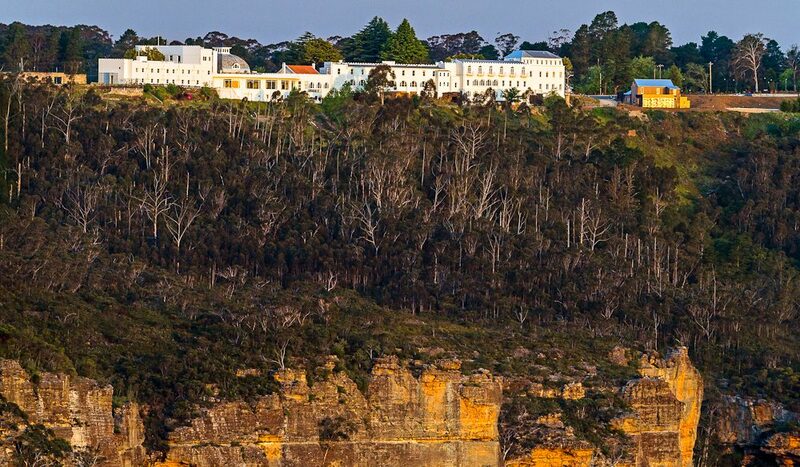 When my parents found themselves in the Blue Mountains one night in 2007 without a bed to sleep in – due to an unfortunate mistake with their hotel booking – they were shipped off to the only place that had availability: the Hydro Majestic. “It was awful,” my mother had said. “The rooms were tiny, everything was run down… I’m sure it’s haunted too!” One year later, the hotel closed its doors. Rewind 100 years and it was a different story: what started out at a hydropathic sanatorium specialising in all sorts of weird and wonderful treatments (bowel kneading?) 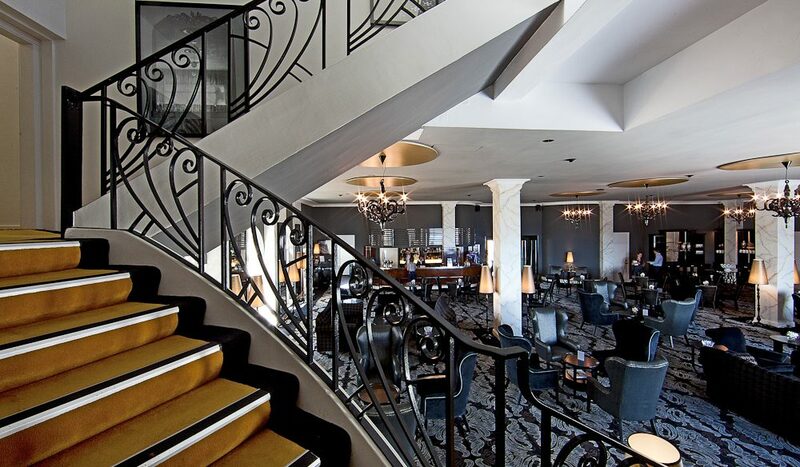 became one of the country’s finest hotels, with a storied history to match. 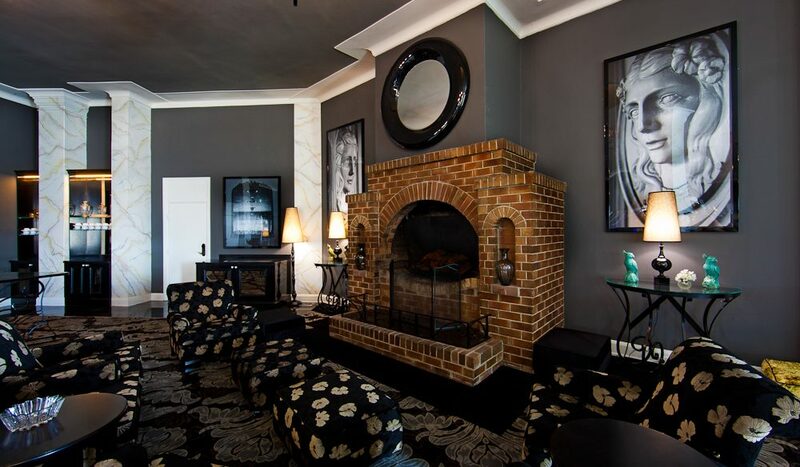 The plush yet cosy ‘garden view’ Belgravia Room, Hydro Majestic hotel, Blue Mountains. 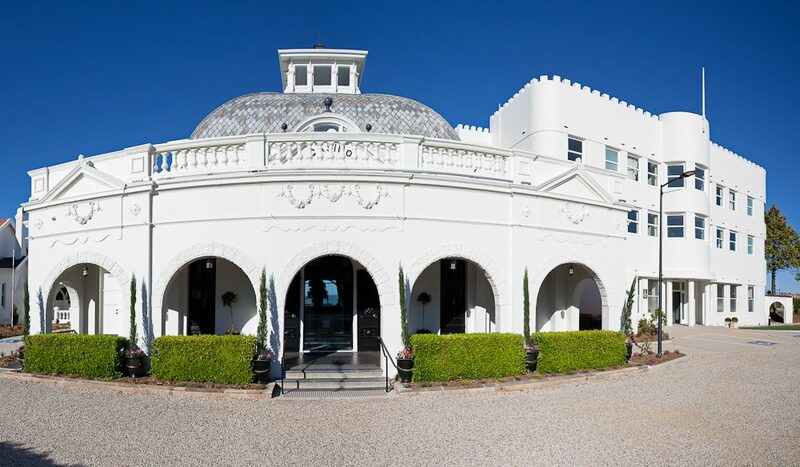 It was an elite place to stay with the rich and famous coming for the decadent parties (Dame Nellie Melba regularly performed here and Sir Edmund Barton actually died here in 1920); during World War II it was evacuated and requisitioned by the US Army to be used as a general hospital; and in the ’50s and ’60s it gained a reputation as a place where business colleagues would check in as ‘Mr and Mrs Smith’ to conduct, ah, personal business. But despite a heritage listing in 1984 and investment from different owners over the later years, its halcyon days were long gone and it eventually fell into disrepair and closed. But now, six years and a $30 million makeover later, everyone’s asking: will the Hydro be reverted back to its glorious self of the Roaring ’20s? We arrive one drizzly afternoon to its refreshed white exterior teetering on an escarpment, looming over Megalong Valley. Sadly, no red hatted bellboys rush to assist us with our luggage as we had imagined, so we show ourselves to the lobby. 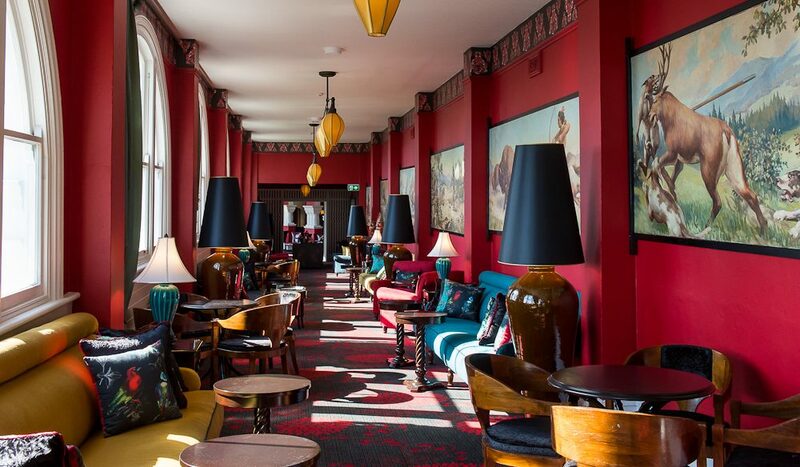 Inside, the Art Deco-style Belgravia Lobby Lounge is filled with black velour wingback chairs, glowing chandeliers, (faux) marble columns and a bricked fireplace, which promises cosy evenings during cold mountain winters. 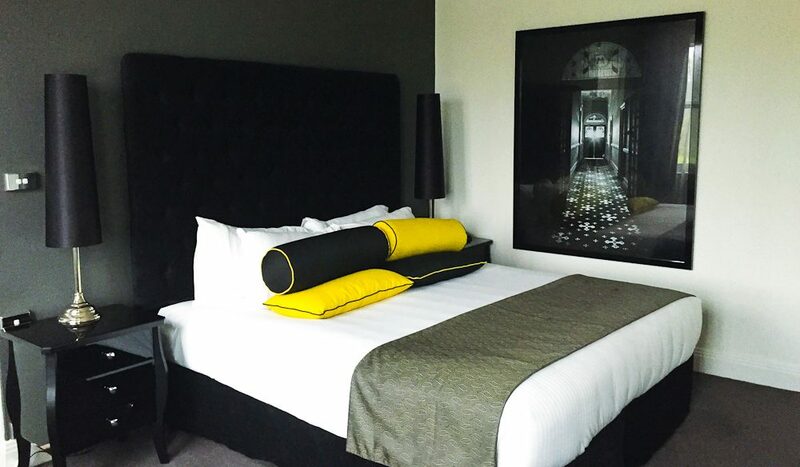 We check in – strangely at the bar – and are shortly in our level two ‘garden view’ Belgravia Room (reached only by stairs, again with no assistance) which is nicely decked out in the same monochrome palette with a splash of yellow. Cat’s Alley a hub of gossip back in the day. Due to availability, we had the choice of this room or a Heritage Valley View, which we’d heard was the same shoebox-size my mother once bemoaned about – and a sneaky peek in an open door proves this true. 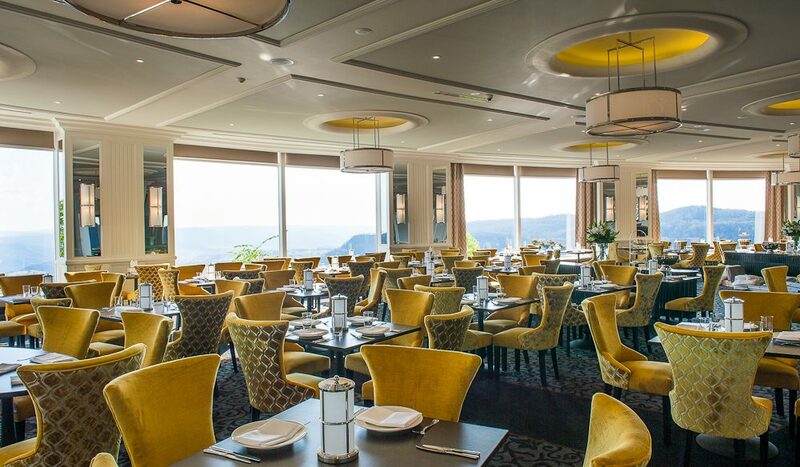 After a quick whip around the resort, we find the only venues that are open are the Wintergarden (which is serving high tea) and the Boiler House (a casual café separate to the main building). The Asian-style Salon du Thé and Cat’s Alley – notorious in the heyday for being the gossiping ground of wives and mistresses waiting for their men – were sadly both still closed for completion. We retreat to the Hydro Majestic Pavilion, a café/shop/museum in which we order a decent coffee and browse memorabilia of the hotel’s past. 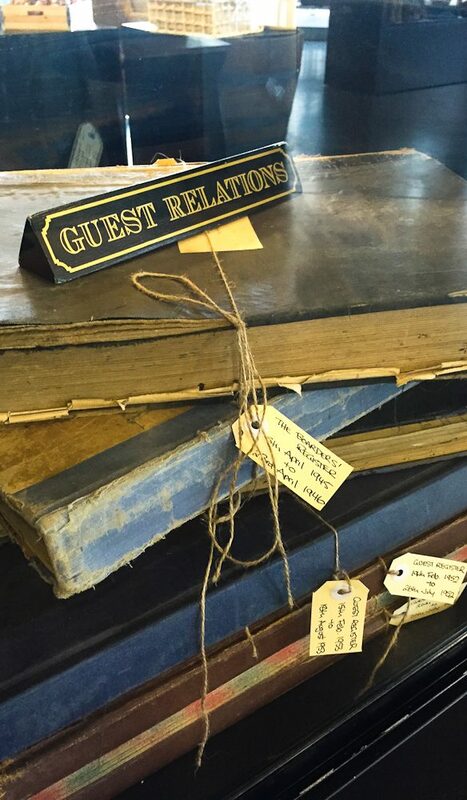 Old guest registers, adding machines, staff uniforms, furniture, the concert stage, and quirky contraptions for spa treatments are all on display alongside local produce and products for purchase. Finally it’s time for dinner at Wintergarden, and we enter the beautiful grand domed ‘Casino’ to be seated at our prime window table. But it seems someone has completely erased the view: before us, what is usually a picture of a green sweeping valley, is a complete misty white-out. Regardless, the restaurant is warm and elegant, dinner service is prompt and friendly, and the good-portioned dishes are pleasing. That night, despite the plushness of our bed and the darkness of our room, we don’t sleep particularly well because of noise from the adjacent highway and train station. And I must admit, I also find myself imagining the ghosts of Sir Edmund Barton and Dame Nellie Melba lurking in the hallways, too (thanks, Mum). At check-out we are stung with the bill: the overpriced selection of wines (starting from $15 a glass) and unexpected extra charge for still water ($12) leaves us wondering if we are simply paying to be part of the Hydro history. Perhaps that’s not such a bad thing, if that’s what it costs to keep old-world charm and first-class service of a bygone era alive. Assuming, of course, that that’s what the new Hydro will offer once the bumps are smoothed out. Only time will tell. The old Casino stage where Dame Nellie Melba would have performed. The Verdict: This is a nostalgic and elegant stay with a killer view, when it’s visible, but service should be upped a few notches to live up to old-world expectations and the price tag. We rated: The cosiness of the Belgravia Lounge and Wintergarden, and the memorabilia in the Hydro Majestic Pavilion. We hated: The noisiness of the rooms facing the front of hotel (book a Belgravia Valley View room if available), the lack of service staff and the overpriced beverages. Notes: Unfortunately, there’s no swimming pool, spa or gym (surprising, considering the hotel’s history as a spa) but there are a number of good walking tracks in the area. We paid $309 for a Belgravia Room including breakfast.